← I’m having an affair. A story of love~ Jackson inspired Burton-ness. Okay, I admit…I’m somewhat totally a fangirl at heart. No matter what I do, this aspect of who I am creeps into everything. Story writing is no different. This time, it comes from being bored, avoiding a character I have a difficult time writing, and the total fangirly thing I do. 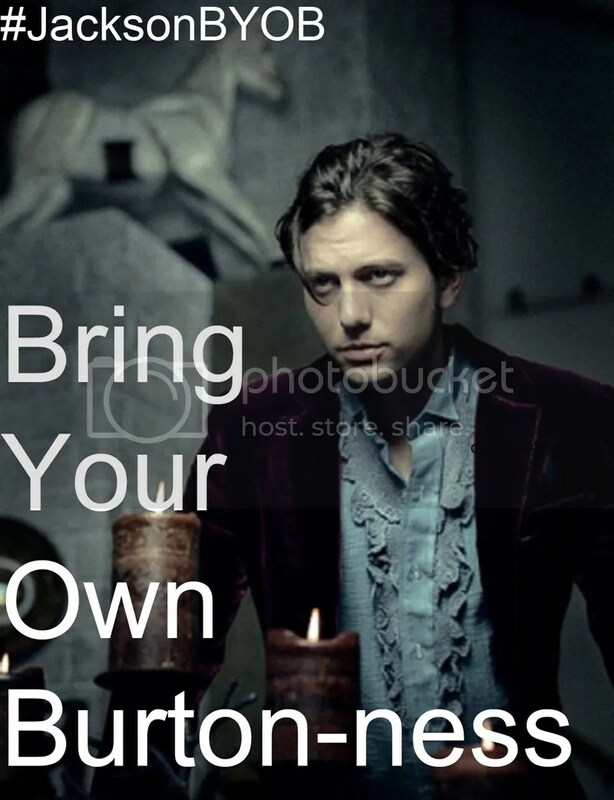 I’ve been doing this #JacksonBYOB Meme on twitter and tumblr. Again, bored and fangirl. No other real excuses beyond that. The photo belongs to August Bradley…the words are mine. To J, for always giving me inspiration to do something creative. had to stay in the dark. One day a ball fell into his home. Silas didn’t know what to do. to the girl with one shoe. sweet and adorable as she. the color of the sea. Her eyes glanced around his home. “Would you like to play?” she asked. He noticed her down-turned grin. His skin began to smoke. He should have waited for twilight. never being with another soul. Clara Belle said with tears. And she did for years. who could only live above. and not in the cave. it was far from tragedy. Thank you for reading. This story is of my own imagination and belongs to no one else. Please ask before reprinting this…I don’t mind sharing, just ask before you do. mejor ! Leyendo article Me recuerda a mi compañero de cuarto anterior! Él continuamente de predicar sobre esto. Voy a adelante este post para él. Bastante cierto que va a han una muy buena ver .